Lufthansa CEO Carsten Spohr envisions his group fully taking over the problem-afflicted Air Berlin. The antitrust problems are also seen as “solvable”, but the major shareholder of the conflicted airline Etihad Airways would have to solve the debt problem. Lufthansa has always demonstrated a strong interest in taking over its national rival Air Berlin. However, Spohr believes that Air Berlin’s major shareholder Etihad Airways must first deleverage the airline. The local authorities are also involved. Spohr held talks in the Emirates on Monday with the entourage of German Chancellor Angela Merkel (CDU). Etihad has assured to support Air Berlin until November 2018. Last week, the Gulf airline transferred a three-digit million amount to the Berliner. Lufthansa admits that in the case of the takeover, it would have to take responsibility for the antitrust issues, but sees them as “solvable”. British Airways and Air France have also taken over smaller national competitors (British Midland and Air Inter) in the past. As the financial results of this quarter came in, Air Berlin had to report a record €782 million loss and correct the amount of its debt further upwards. 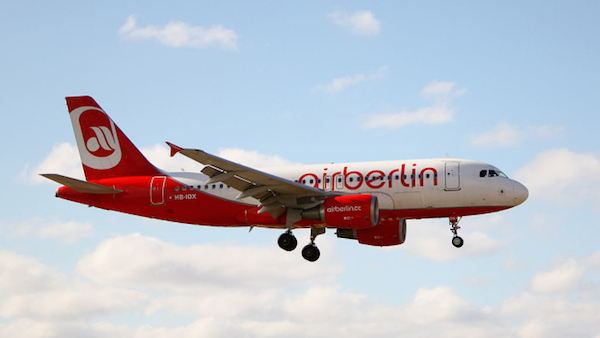 The airline’s CEO Thomas Winkelmann is currently looking for new partners for Air Berlin and is attempting to reduce costs. These measures include negotiating better leases for jets and savings in the high charges of tickets sales through the global booking systems. Lufthansa already leases 38 jets to Air Berlin Aeronautics – a commercial partnership, established in 2016 as part of Air Berlin’s restructuring plan. According to the takeover plan, the remaining the remaining Air Berlin’s 75 jets could probably be integrated to the low-cost Lufthansa subsidiary Eurowings. In this scenario, Eurowings’ fleet would reach 160 allowing the company to become profitable by the end of 2018.